I believe that amusement parks are created to have something in life to thrill to. It reminds us that in such things do we find happiness in a way that we get a kick out of the downs in life. This is where we fear, where we shout, but most especially where we enjoy. We find the best versions of ourselves; the adventurous side. Fear, sometimes may hold you back but I've learned that, quoting Mandy Moore from Chasing Liberty, "The things you're scared of are usually the most worthwhile." 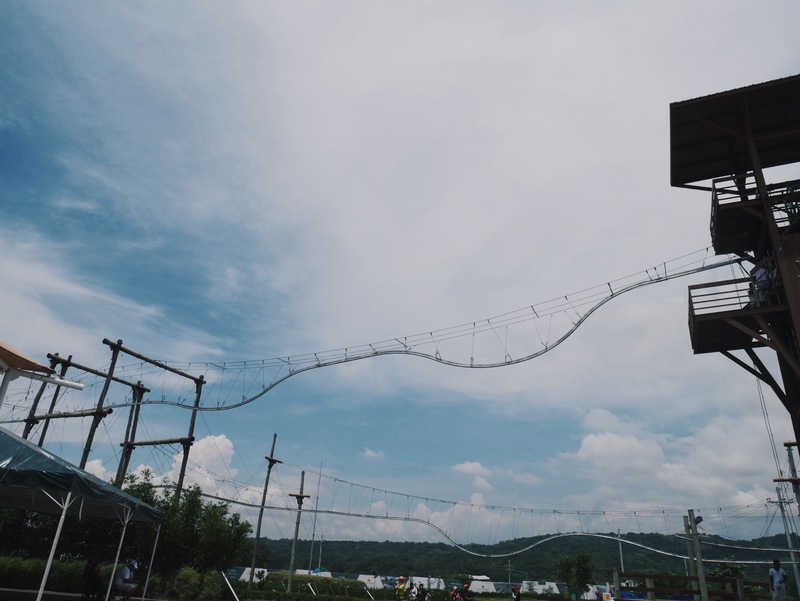 There are a few amusement parks in the Philippines. I've been to some a lot of times. You won't get tired of going back because it never fails to enjoy you and your friends. But, it's sometimes better to try something new. So, my sister discovered Sandbox from the internet. I searched about it and I thought to myself, this is a very creative one. We were supposed to go a few weeks ago but the time wasn't right. I've always wanted to go here because of the outdoor archery. Then, finally, we were able to make it happen last weekend. 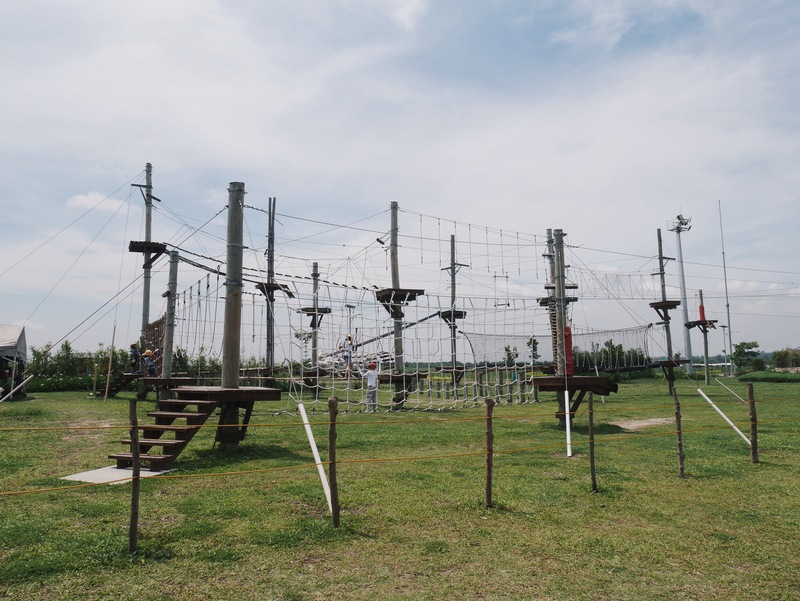 Sandbox is located in Porac, Pampanga. It is both an attraction and an adventure. 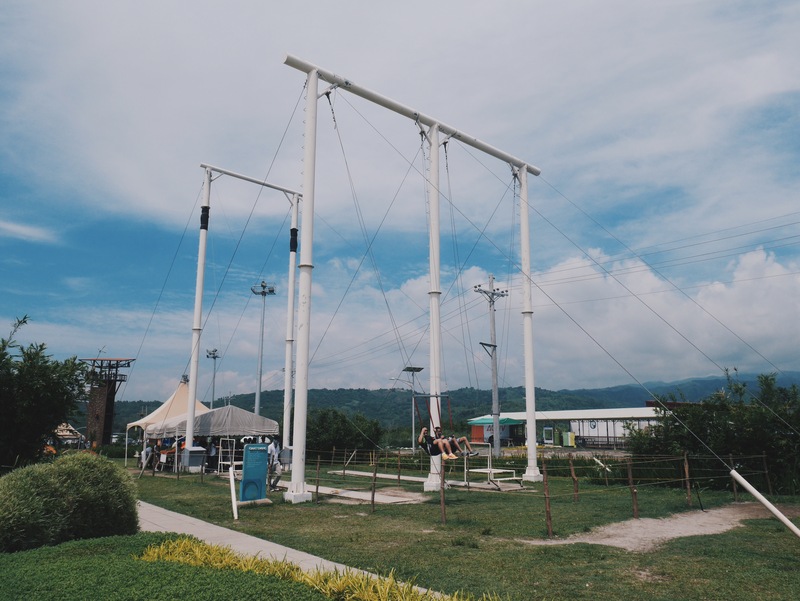 It has been known for their Giant Swing, which is the largest swing in the Philippines. It is also the most traumatizing of all (Well, for me). It was intense, hair raiser, and an extreme ride. Honestly, I am afraid of heights. While lining up, I was about to run but my best friend, Kiara, won't let me. So that left me with no choice. And it is in my package. So, really, I have no choice. It may be scary up there but you'll know never know the great feeling I had after. The feeling that I survived and the feeling of experience. Entrance Fee is Php 100. If you want to save money, there are packages. 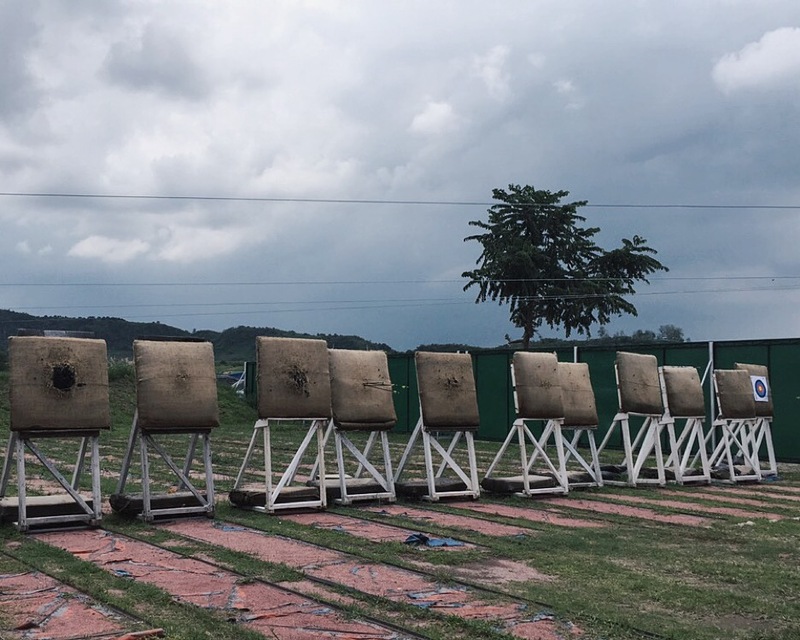 There are a few attractions to visit in Clark, Pampanga. 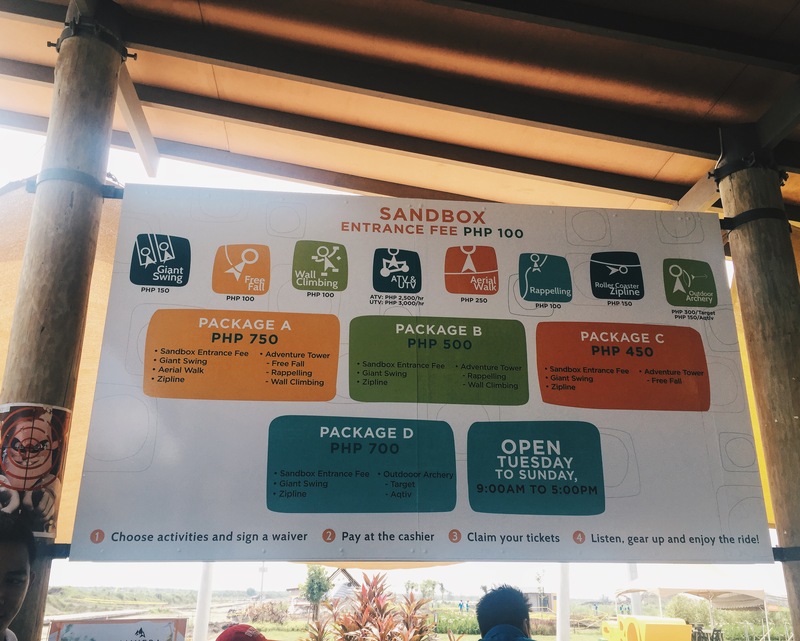 Sandbox is now included, so before summer ends, hit the road with your family or friends and go to Sandbox. Since it's new, you won't have to wait too long in the queue. I tell you, this was such an experience. Despite the heat, getting drained, missing lunch, every sweat was totally worth it. Time for you to put this on your bucket lists, everyone.